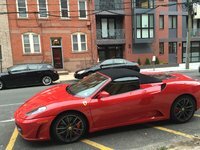 Looking for a Used F430 in your area? CarGurus has 55 nationwide F430 listings starting at $84,942. The 2008 Ferrari F430 epitomizes the concept of a supercar, thanks to its exotic mystique, its race-car heritage, and its masterful mixture of automotive art and pure adrenaline-rush power. Components throughout the F430 are inspired or drawn from Ferrari's F1 racers, including its distinctive air intakes up front, which funnel air into large radiators to cool the engine, and its electronic differential, called the E Diff, which helps to provide maximum grip as the car comes out of turns to reduce or eliminate wheel spin. In addition, just as in a Ferrari F1 race car, the driver can adjust the electronics governing the F430's suspension, stability, and traction-control settings, as well as the E Diff, using a rotary dial called a manettino. From its shapely hood and vertically stacked bi-xenon headlights to the chrome Prancing Horse firmly planted at the center of the engine's air vent at the rear end, the F430 represents the culmination of Ferrari design, in collaboration with Pininfarina, the Italian automotive designer. This two-passenger, two-door coupe (or berlinetta, as the Italian automaker calls it) features an all-new design, carrying over very little from the 360 Modena, which the F430 replaces in Ferrari's stable. Every exterior component of the F430 was designed to ensure the height of aerodynamics and stability, including its flat underbelly and air-flow systems, which not only help cool the engine but also aid in keeping the car firmly planted to the road. Even the side mirrors have specially designed twin mounting arms that help channel airflow to the engine intakes along the lower sides of the car. 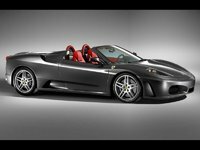 Typical of many Ferraris, the F430's powerful new engine resides behind the driver and passenger, which on occasion can make the occupants feel as if they're strapped into a rocket. 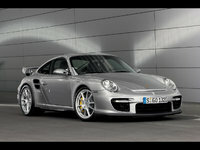 It addition, the engine's amidships placement puts its throaty sound right where it can best be heard and appreciated. The F430's all-new 4.3-liter V8 engine produces 483 hp and 343 lb-ft of torque, which drives the F430 from 0 to 60 in just 3.9 seconds and to a maximum speed of 195 mph. The V8 links to either a six-speed manual transmission with a gated shifter or Ferrari's optional F1 automated-clutch manual transmission, which the driver can control using paddle shifters located on the steering wheel column. The engine posts a combined city/highway fuel economy number of about 18 mpg. Ferraris have always been known for their relatively spartan interiors, when compared to other upscale sports cars, but the automaker has worked hard to make the F430's interior more comfortable, luxurious, and driver-friendly. The slimmer center stack and console (when compared to the 360 Modena) results in more room for both the driver and passenger, and controls and buttons are within easy reach for the driver. Ferrari has mounted the starter switch on the steering wheel column to make it easier to access, and the sport seats have been ergonomically designed and sufficiently bolstered to keep occupants firmly contained. Features such as Bluetooth wireless connectivity, a voice-prompted navigation system (with no screen), and a premium sound system all come standard. Beyond that, Ferrari offers owners a wide range customization options, including a choice of 12 leather colors, eight carpet colors, and aluminum or carbon fiber inserts, as well as 16 exterior colors. 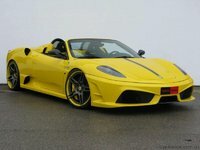 What's your take on the 2008 Ferrari F430? 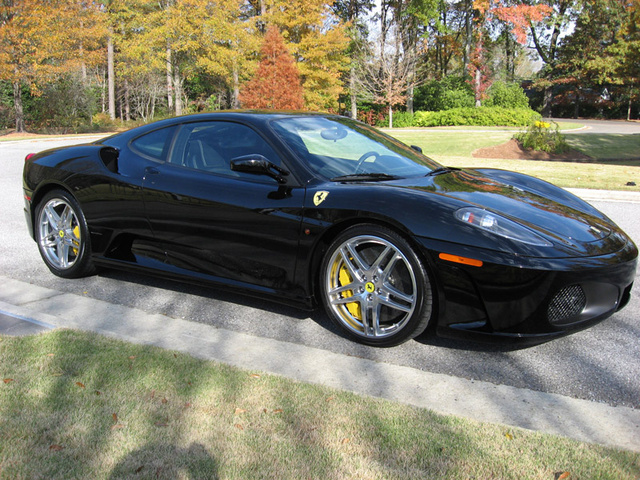 Have you driven a 2008 Ferrari F430? With the top up, how do you make the windows go up?